Kurla is a well-known area in northern Mumbai. The Central Railway Line divides the locality into an eastern and western region. Lying on the eastern bank of Mithi River and southern end of Salsette Island, it is a very famous commercial and residential hub. It is a home to several famous industries in the city. The locality is close to prime areas like Ghatkopar, Sion, BKC, Chunabhatti, and Chembur. The area houses an important railway station namely Lokmanya Tilak Terminus which helps in long distance journeys. The roads are very well-developed and the area enjoys immense infrastructural development. The property in Kurla, Mumbai is growing tremendously since the last few years. The upcoming metro rail project and the improving infrastructures have led to a surge in property prices, thus having a positive impact on the realty landscape of the region. This has attracted many developers and builders who have announced their landmark developments over here. There is a consistent increase in population in the area and in order to accommodate the same, there is an increase in the housing demand. It has a galore of residential properties that are an excellent option for self-use or investment purposes. These properties provide its inhabitants with the best -in-class facilities and amenities assuring heap and healthy life. Top schools, hospitals, colleges, banks, commercial complexes, luxurious shopping arcades are also based over here. Thus, nestled into a convenient neighborhood and offering smooth living conditions and ample of job options, the area has emerged to be a preferred investment destination. Its soaring property prices and accelerating housing demand has made it an attractive residential destination. Proximity to commercial hubs like BKC and Saki Naka make it a desirable location for working professionals too. 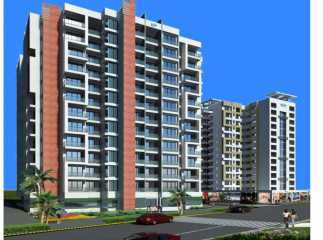 HDIL premier Exotica is a good option for all those who are looking for property in Mumbai.